The axed Australian opening batsman, Simon Katich has denied the latest reports from the media that he has contacted the national selectors for becoming part of the team again. However, he offered his services for the Kangaroos as and when they require. Simon Katich was a prominent batsman of Australia who played vital innings as an opener on various occasions and played his last Test against England at the Adelaide Oval in early December, 2010. First Test at Galle; 28, 0, second at Pallekele; 60, and they produced 0, 62 runs in the third encounter at Colombo. 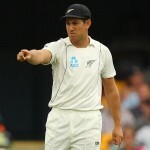 New Zealand visited Australia recently and managed to break the bogey against their opponents in nearly 18 years in the second Test at Hobart by winning the second test and squaring the series 1-1. The Aussie openers were unable to impress once again by contributing a meager total of 3, 11 runs in the first Test at Brisbane and 7, 72 runs in the second. It is near inarguable that the top two are the most important batsmen for any team to provide a solid momentum and platform for a winning total and Australia is lacking behind to find a suitable pair since long. The left hand batsman has appeared in 56 Tests, providing mercurial statistics by scoring 4188 runs at an average of 45.03, the best of 157 runs with 10 centuries and 25 fifties, moreover claiming 21 wickets averaging 30.23, the best of 6 for 65 runs in an innings and 6 for 90 in a match. The 36-year-old has also played 45 One Day Internationals, scored 1324 runs at an average 35.78, the highlight of which is an unbeaten 107 runs with nine fifties. 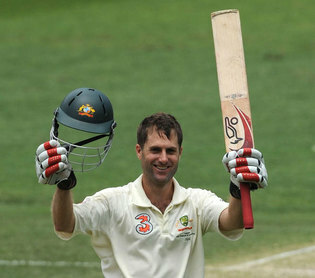 He has performed well in the domestic Sheffield Shield 2011-12 while representing New South Wales. He took part in six matches, scored 395 runs at an average of 39.50, the best of 125 runs with two centuries and one fifty. The left arm spinner has clinched 10 wickets at an average of 20.50, the best of 3 for 29 runs in an innings and 3 for 43 in a match. Australia is in dire trouble as far as their opening partnerships are concerned. The rumors are around that the national selectors may consider Katich to fill the void left by the available openers, as he is confident to provide the best possible start to the Kangaroos in the forthcoming series against the formidable Indians if provided with a chance.